The Invert 6 was designed with the philosophy that the living area is the most important part of the tent and therefore takes priority for space. It features twin full side openings and is perfect for a small family or a couple who want room for the luxuries. 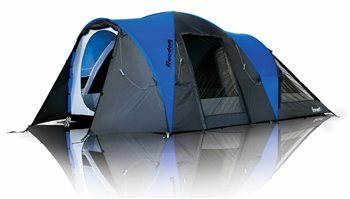 The Invert 6 layout features a large room at one end of the tent to offer privacy and warmth.